Isibaya is a South African soap opera (a telenovela in Season 1) created by Angus Gibson, Catherine Stewart, Teboho Mahlatsi and Desireé Maarkgraaf and produced by The Bomb Shelter which depicts the battle for wealth and power between the Zungus and the Ndlovus, two rival families living in Thukela Valley, and set against the backdrop of the South African taxi industry. When the series begins, two young lovers are torn apart by a century old feud between two powerful families. From a valley long divided by too little resources the bitter feud continues in Egoli, the city of gold, as the Zungus seek to build their fortune. The promise of riches and old cycles of revenge tears them apart but one man's quest for reconciliation and peace leads them all to understand that they can prosper together. On the East side of the Valley lives the Zungus, a household headed by charismatic and influential Mpiyakhe and his sister Mkabayi, who run a successful taxi business. Mkabayi runs the rural taxi yard; she is a fierce and powerful matriarch who has sworn herself to celibacy after the assassination of her betrothed when she was a young girl. She is loyal, traditional and under the tough exterior warm-hearted. Mpiyakhe's two rural wives run the Bhubusini compound. Mpiyakhe lives in Soweto with his fourth wife, Iris, a beautiful but scheming and manipulative woman. She has no children but is the stepmother to Mpiyakhe's two children – Thandeka and Jabu - from his first wife, who died in a taxi clash 14 years back. Mpiyakhe runs the taxi business and is chairman of the East Side taxi association. On the West side lives Samson Ndlovu's family, they too operate a big taxi business, but are less successful than Mpiyakhe. Samson is a bitter man, but hides under a veneer of tradition; his brother Mandla is bloodthirsty and wants vengeance on the Zungus. Can their love survive the bitter feuds that surround them? Will their families tear them apart or will their love triumph in the end? The Isibaya cast is an eclectic mix of both celebrated, seasoned actors in television and theatre and fresh new faces. Siyabonga Twala heads up the Zungu household as Mpiyakhe, with his leading lady and third wife, Iris Zungu, played by Mampho Brescia. Also lined up are actors hailing from KZN: Class Act winner Sdumo Mtshali (S'bu Ndlovu), Nomzamo Mbatha (Thandeka Zungu), Pallance Dladla (Jabu Zungu), Zakhele Mapondo (Skhaleni) and Mdu Gumede (Ntandane). Bheki Mkhwane plays the role of Samson, the head of the Ndlovus, who is aligned with his hot-headed brother, Mandla, played by Bongani Gumede. Taxi owners and operators from the East side of the valley. High profile taxi boss. Savvy political player and leader. He has a "road to Damascus" moment when his daughter is nearly killed in a taxi shootout. He realizes violence is not a viable alternative and envisions a new peace. As a young man Mpiyakhe was a consummate stick fighter and very popular with women. Mpiyakhe's sister. Pugnacious, abrasive, tough talking matriarch of the family in KwaZulu-Natal. Is forced into a more high-profile public and political involvement with the taxi business. Still mourns a lost love and struggles to show her softer side. She learns to lead and find time to listen to the people around her. Mercantile, calculating and manipulative 'city wife' of Mpiyakhe. Married for money, power and position. She is willing to do almost anything to retain and grow those things. Morally questionable and deeply flawed. Mpiyakhe's daughter. Well educated, modern city girl. She has been protected by her fathers position and money and is an innocent. She must face an unrequited love and fight for what she believes in. She is filled with a passion for science and discovering the universe, but knows nothing about those living in it. Mpiyakhe's son and Zodwa's brother. Dissolute, angry young-man, wastrel with a chip on his shoulder and wanna be musician. He is popular with girls, his charm and good looks get him out of trouble. The oldest of Mpiyakhe's wives, is a respected childless matriarch with an irreverent, slightly wicked, sense of humour and a secret smoking habit. Her astute but inexperienced business skills are put to the test when 'the wives' get a catering contract on the road construction project. Taxi owners and operators from the West side of the valley. Strong, fierce and calculating taxi owner from the West valley and principle voice in that taxi association. His smooth and seemingly reconciliatory manner, hides a man who is at the very top of a dangerous and corrupt business and there is nothing he will not do to stay there. But he is also a proud father. He believes in principles and family honour. He is a complex villain. Brutal, jealous and corrupt younger brother of Samson. He lives and dies by the sword and believes that his brother is wrong to imagine that the peace negotiations will change anything. Samson's youngest son, is as determined and stubborn as his father. A natural leader, with integrity. S'bu is charming, articulate and smart. Being groomed to take over the taxi business from his dad, he is willing to make whatever sacrifice is needed. But when he falls in love with Thandeka his world is turned upside down. A charming, smart and smooth talking businessman. Snake in the grass, willing to do anything for personal profit. Father of Lerato. Insightful, world-weary, speaker of truth. A warrior who has lost the will to fight. Yard manager at the Zungu's and close friend and confidante to Mpiyakhe, he too has a vision for peace and reconciliation in the Valley. Undeniably attracted to Mkabayi. Shadrack's daughter. 16-year-old, street smart and sassy. Dreams of a better life, glamour and love. Gives everyone a run for their money including her father who has sacrificed everything for her education. Fearless but wanting more from life. Everyone calls her 'Mimi'. A young, high flying, fearless female detective with a troubled past, troublesome relationships and something to prove. Inspired by the memory of her dead father, a cop who was murdered when she was still a young girl, she is determined to uncover the mystery of the killings in the Valley. A driver with big dreams. Wants to own his own taxi, be his own boss and make a life for himself with the girl he loves. But he has to pay lobola and so takes on other jobs to try to earn more money. Skhaleni is every inch the abrasive taxi driver. Disrespectful of any authority except that of his immediate employer. Homophobic and sexist he is abusive in his treatment of passengers and other road users, arrogant and unthinking in his day to day dealings with his fellow drivers and the people around him. But he has a wicked sense of humour and fun. Maid working for the Zungu clan. She is the love of Ntandane's life. She watches everything, sees everything and knows everyone's business. Betrothed to marry a wealthy man who will help her poor struggling family, Ntandane must come up with a plan to find the lobola before it is too late. Bhekifa (Ntshangase) Ngubane is a powerful, self-made scrap metal mogul who also owns a share in a nightclub. Bhekifa's charming, elegant, opera-loving surface masks a dangerous, cunning and disturbed man who takes pleasure in seeing the slow demise of those he believes have betrayed him. Zweli Ntshangase (Ngubane) is Bhekifa's son from his wife - the love of his life who died during the violent clashes in Thokoza between the SDU's and hostel dwellers. Handsome, charming, and armed with a Post-Grad Business Degree that he gained in London, Zweli is a lovable playa who grew up wanting for nothing but who suffered the childhood nightmare of his mother's death. Blade is Bhekifa's right hand man. Street-smart and connected with powerful underworld figures from a stint in prison (where he first met Bhekifa), Blade is loyal but tough and loves Bhekifa like a father. Beautiful, smart, spunky and brave, Sihle had to cut short her university studies to return to the Thukela Valley after the mysterious death of her father. Now taking care of her sick mother, when Sihle discovers who's behind her father's death, she only has revenge in her mind. Zanele is the manageress of Club Sheba. Charming and beautiful, Zanele is also Bhekifa's mistress - although she's 20 years younger than him. The context for the love stories of Isibaya is the struggle for wealth and power between the Zungus and the Ndlovus, two Zulu families living in Bhubesini in the Thukela Valley. This struggle is reflected in the title – Isibaya. Esibayeni is where the wealth, power and pride of a Zulu man is located. It is a kraal, the home of imfuyo - the herd of cattle and goats – providing manure, guaranteeing rich crops. The presence of Isibaya indicates indoda yamadoda, a man amongst men, because such a man has wealth in abundance. The wealth of the Zungus and the Ndlovus has in the past been in cattle but now it is in taxis – and the contemporary taxi industry colloquially refers to fleets of taxis as esibayeni. The word is now a symbol for new wealth and power. Directors on the series include Teboho Mahlatsi, Adze Ugah and Denny Miller with a musical score by Philip Miller. The story is by Harriet Perlman, Mpumelelo Paul Grootboom and Catherine Stewart with contributors Jacob Ntshangase, Paul S. Rowlston and Benedict Mabele Carton. The script is by Catherine Miller. Isibaya is produced by Desireé Maarkgraaf and Angus Gibson of The Bomb Shelter. 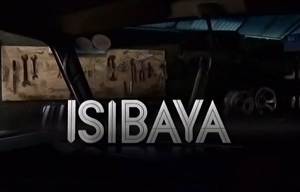 Isibaya began as a telenovela, broadcasting four days a week (Mondays to Thursdays) for its first year. The intention was to end the show after one season, but the popularity of the show prompted the commissioning editors to convert it into a full-blown soap opera after its initial one-year, 208-episode run. Shortly before the end of the first season it was announced that there would be a second and that the show would become a soap opera, broadcasting five days a week (weekdays). Several new characters and storylines were introduced for Season 2, with additions to the starring cast including Vusi Kunene, Andile Gumbi, Jeffrey Sekele, Zinhle Mabena and Sibusisiwe Jili. Lobola negotiations lead Dabula and the Ndlovus to be stunned and furious! Saddam seeks revenge and this causes a CRISIS in the Zungu family.